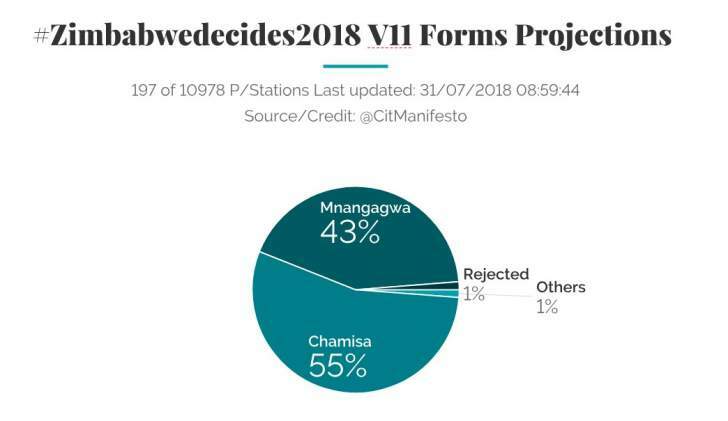 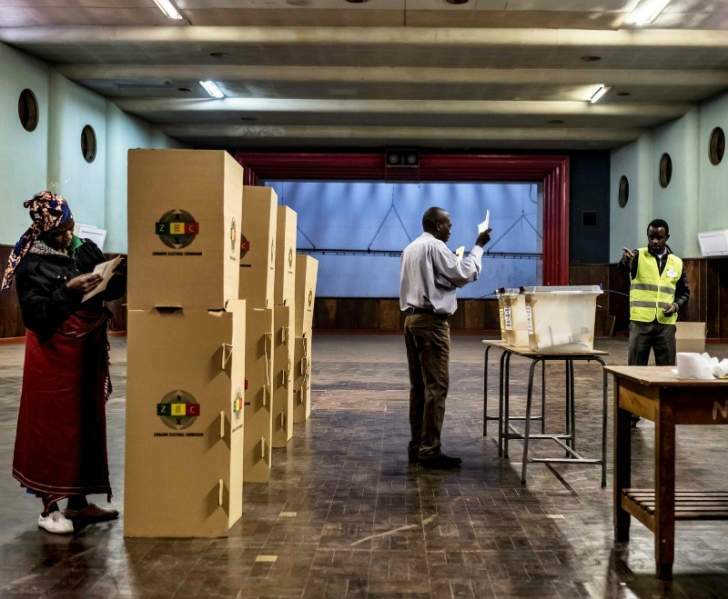 The state media reports that Zanu PF has established an early lead, winning six of the seven National Assembly seats, whose results have been announced by the Zimbabwe Electoral Commission (ZEC). 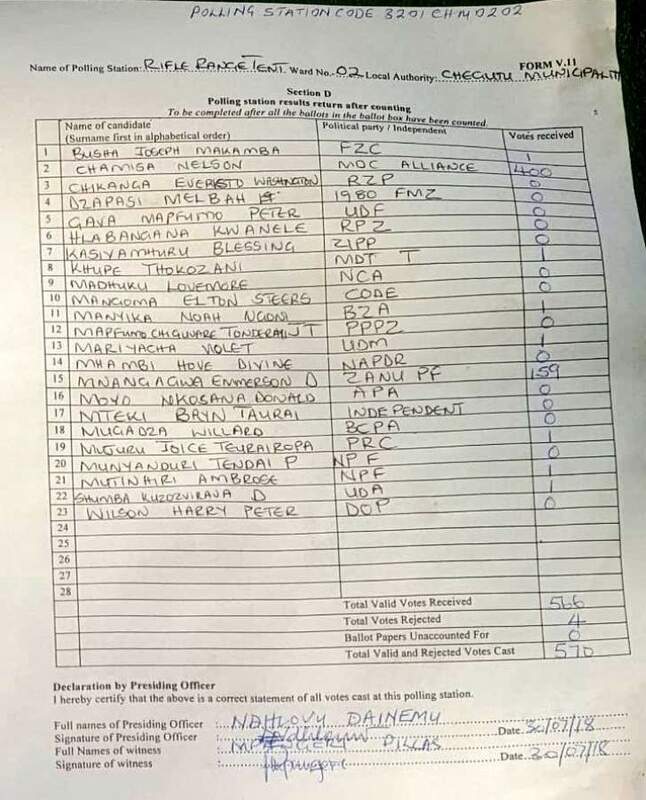 Mash West update: MDC Alliance now controls Chinhoyi council after winning 12 out 15 wards as MDC Alliance retains the parliamentary seat. 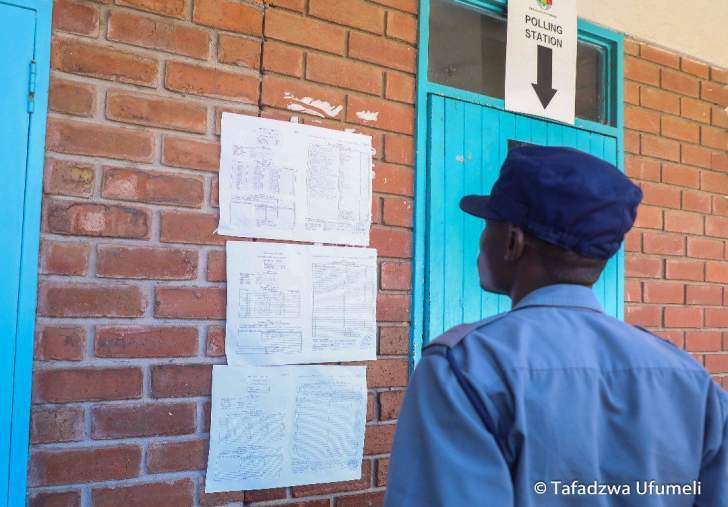 The Zimbabwe Electoral Commission (ZEC) says vote counting and verification is at various stages and people should expect the announcement of results from around 3.pm. 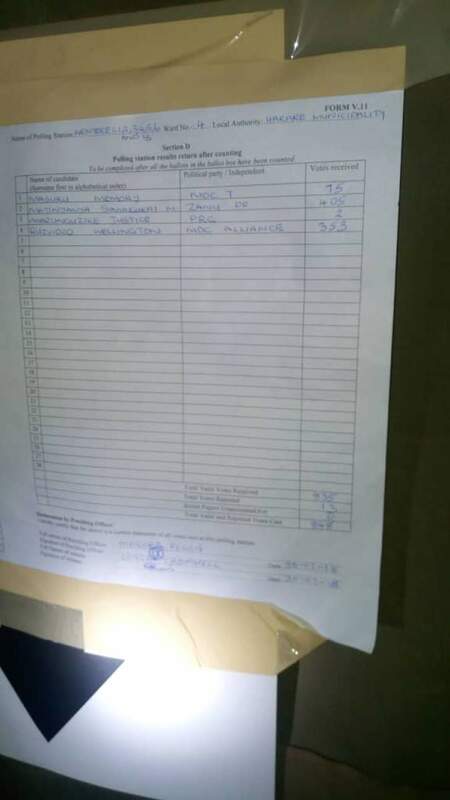 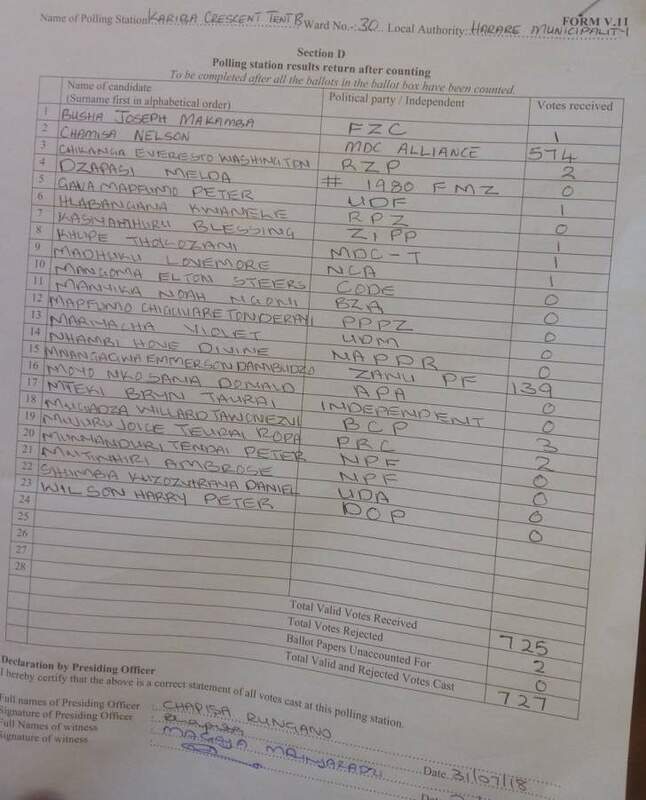 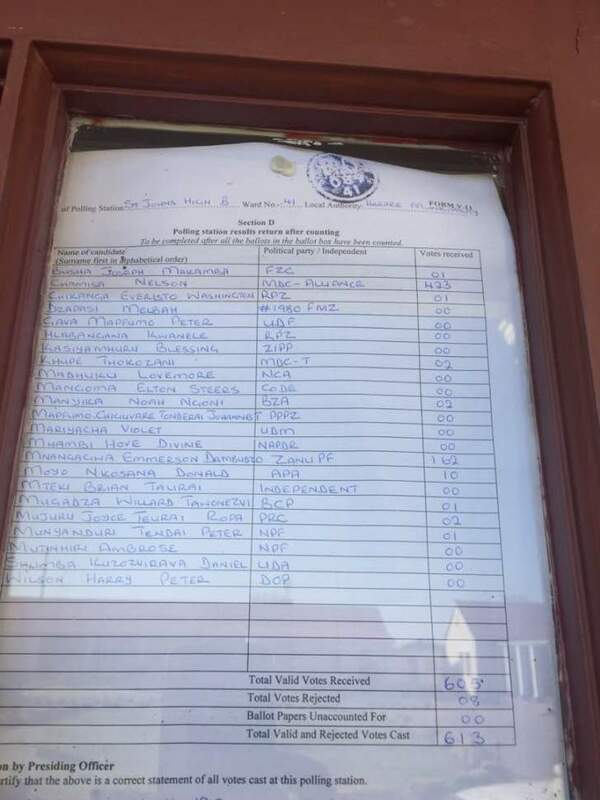 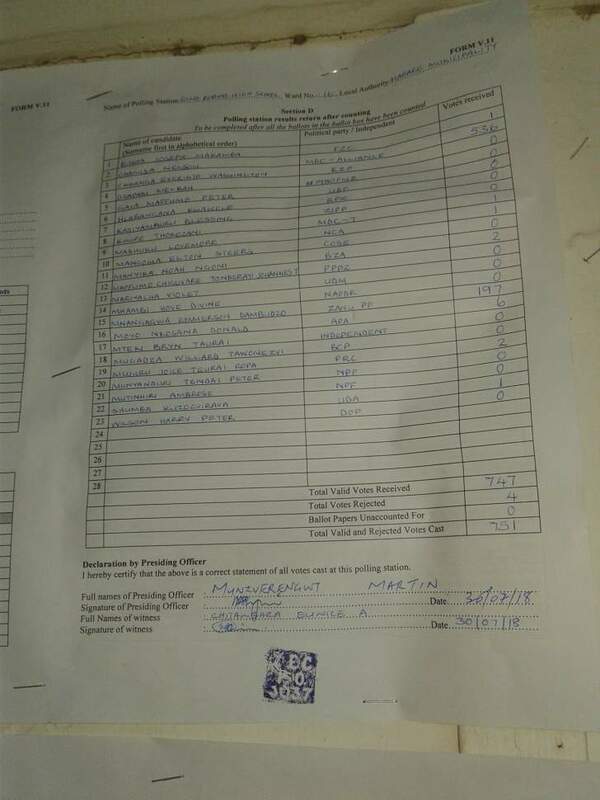 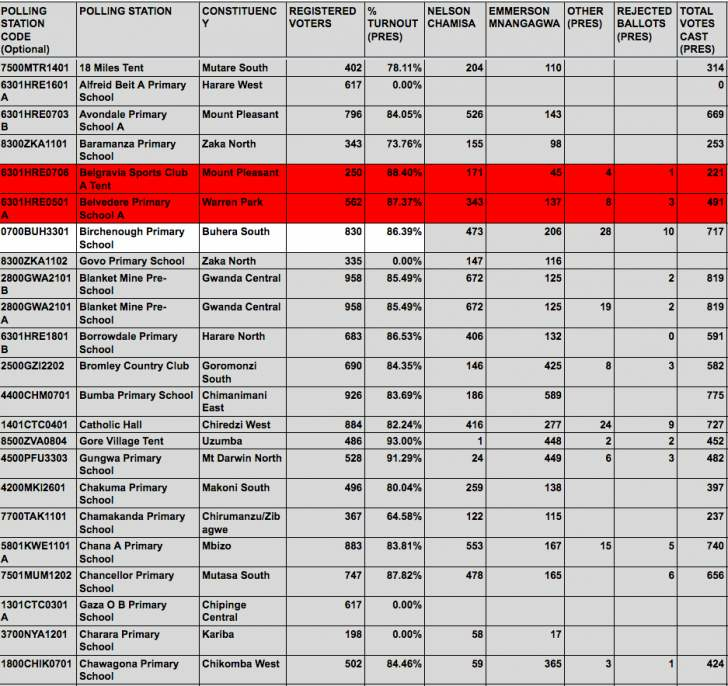 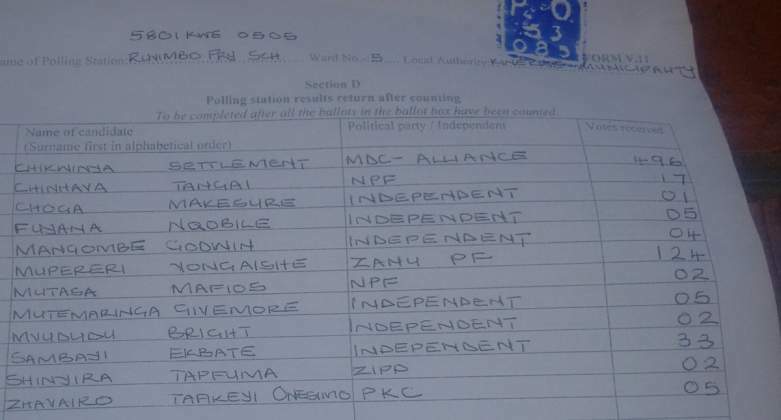 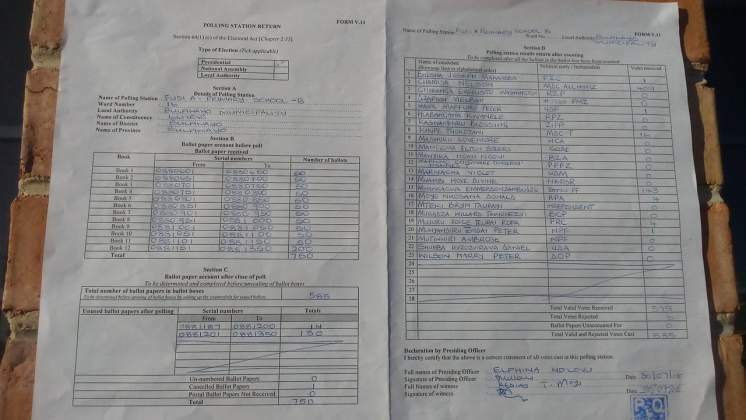 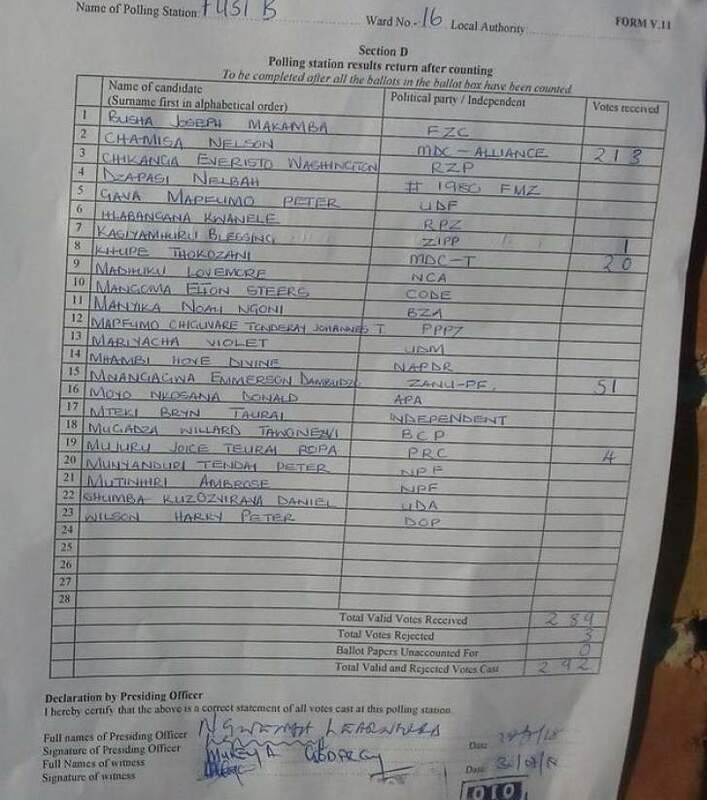 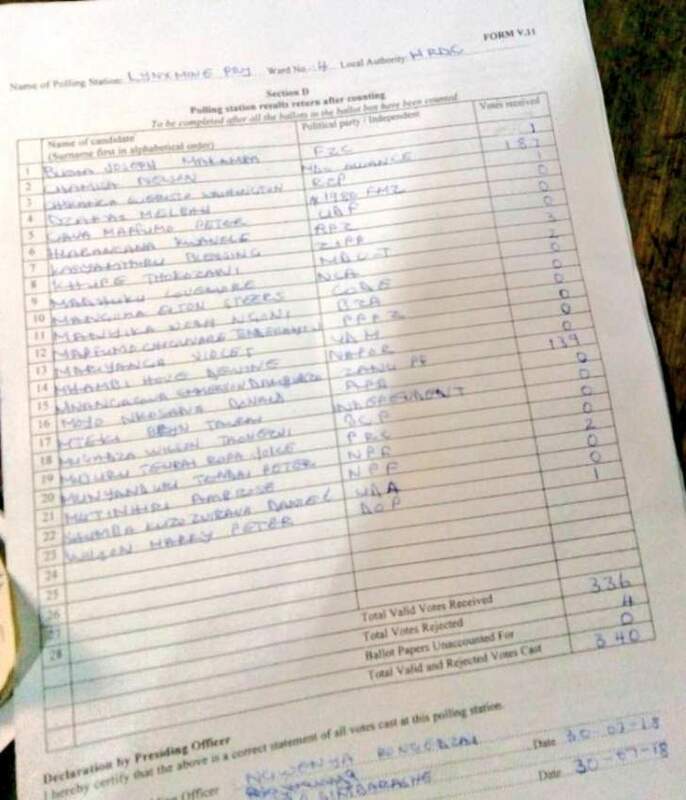 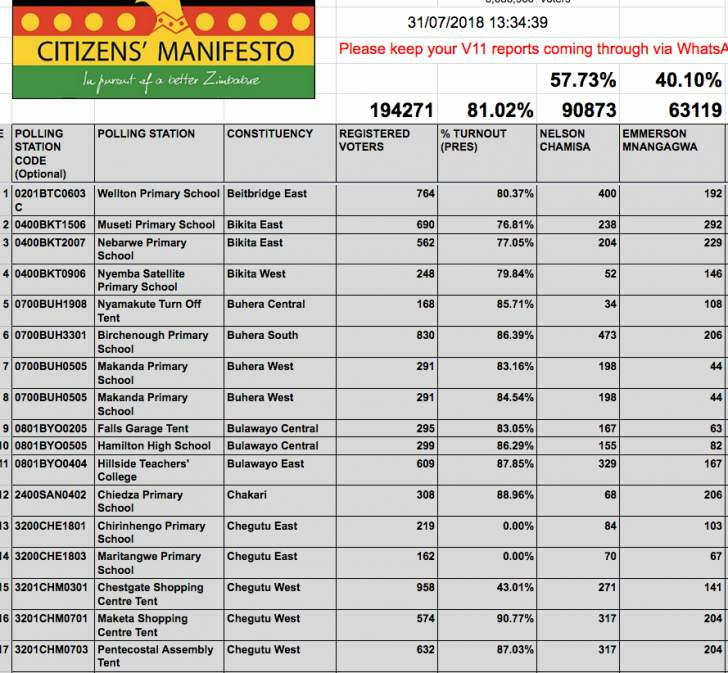 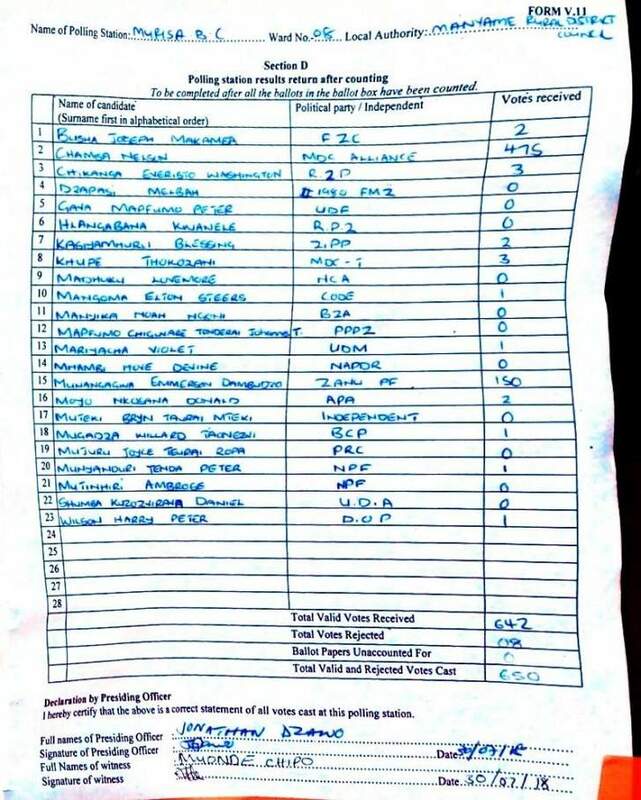 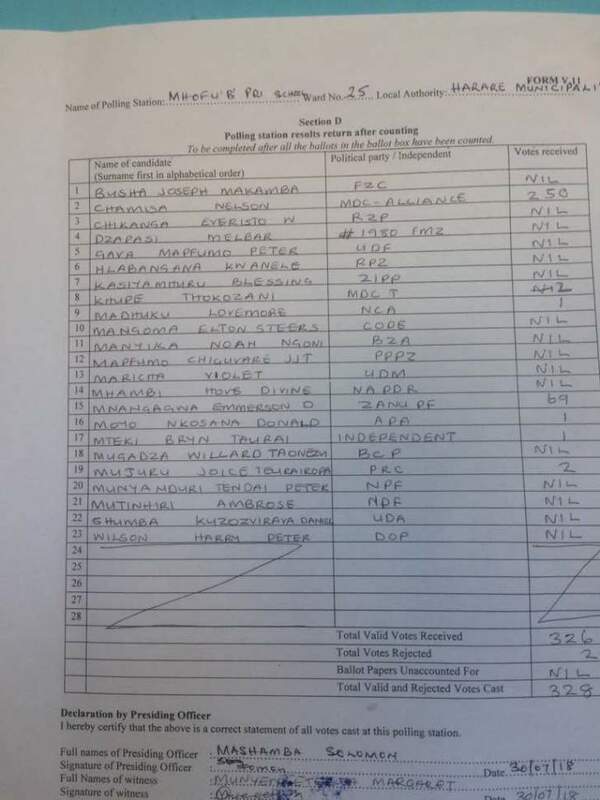 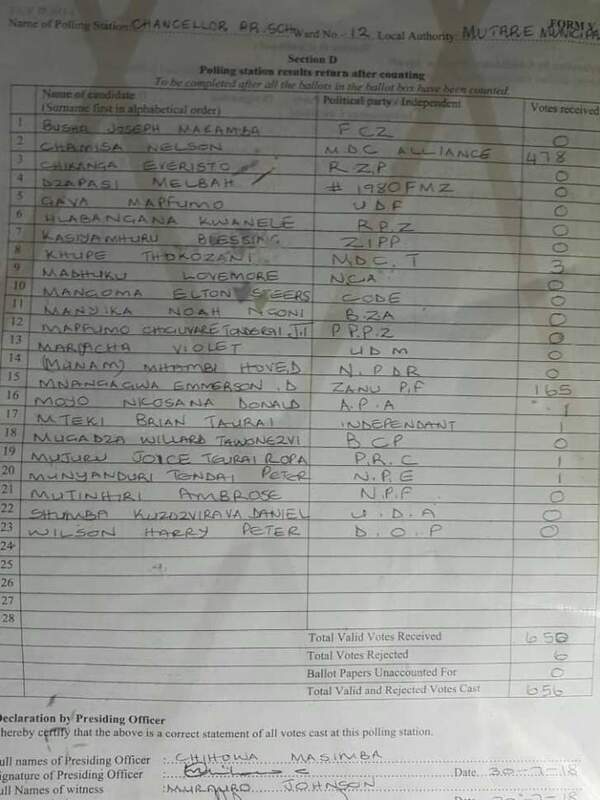 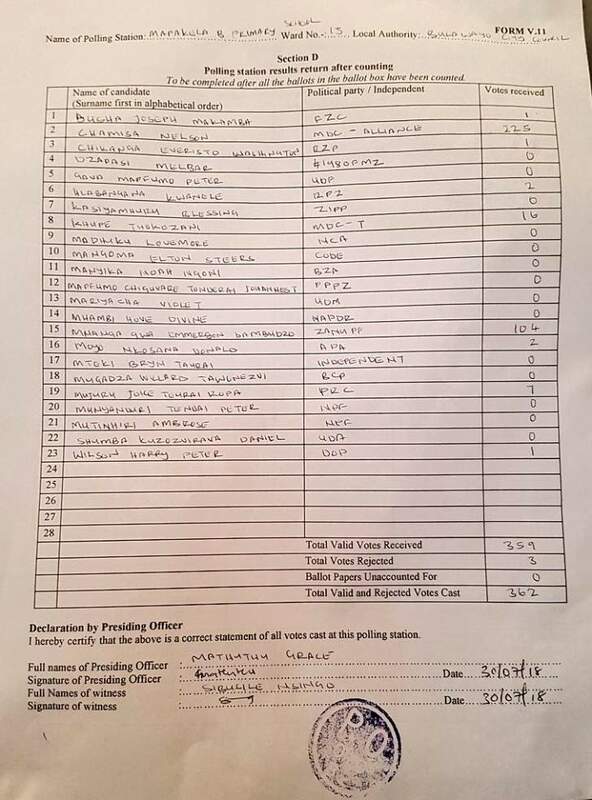 Kwekwe Urban, Ruvimbo Primary school polling station results. 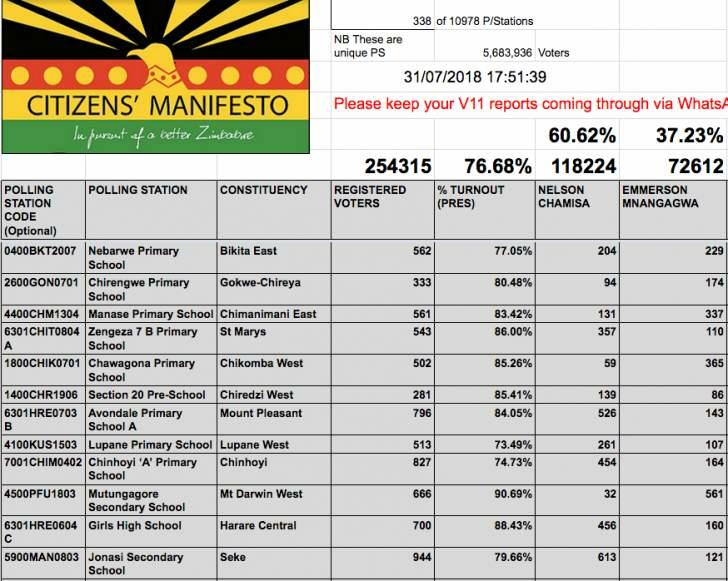 Presidential results not displayed. 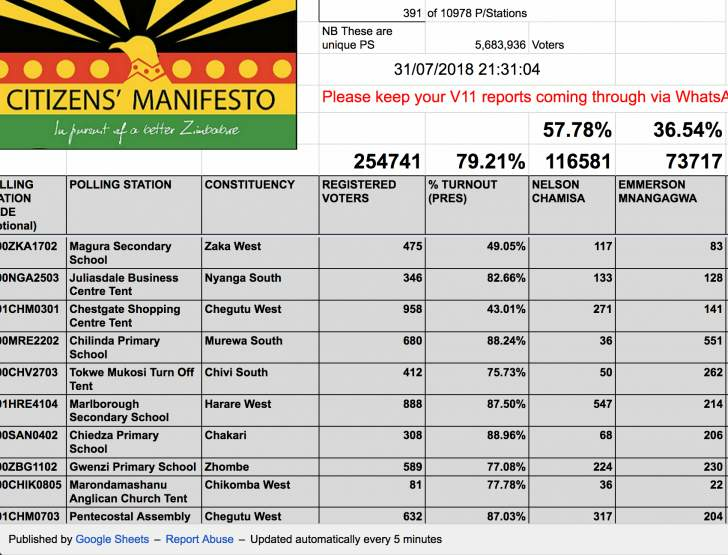 God truly is in it . 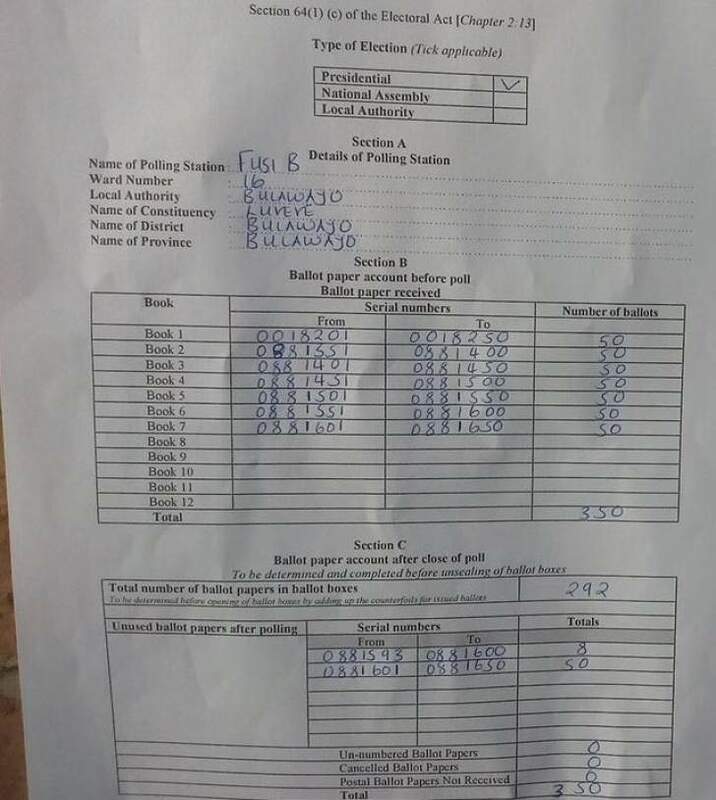 History has been made .